September 2, 2015 – The Workplace Safety and Insurance Board (WSIB) is changing the way employer premiums are determined. 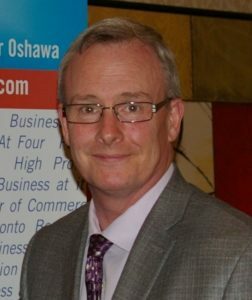 While in some respects the Proposed Preliminary Rate Framework marks a positive change from the existing rate setting process, the Ontario Chamber of Commerce (OCC) is concerned that the new rate framework could increase the premium rates paid by employers and, subsequently, the cost of doing business in the province. As such, the OCC has provided the WSIB with a written submission outlining 10 recommendations that the WSIB and the Government of Ontario should adopt to mitigate the impact of the proposed reforms. The Greater Oshawa Chamber of Commerce, along with over 25 Chambers of Commerce and Boards of Trade signed on to the submission. The OCC supports efforts to modernize the workers’ compensation system in Ontario. Building a 21st century workforce is a core component of the OCC’s five year Emerging Stronger economic agenda. Keeping the province’s economy firmly on the path from recovery to growth will require changes to the way government and its agencies work. Ontario needs a workers’ compensation system that is both responsive to labour market needs and fiscally sustainable. What is being communicated through this submission? The Ontario Chamber is in support of the modernization of the WSIB system but we are concerned that the reforms proposed by the WSIB will increase the rates paid by employers and, consequently, the cost of doing business in Ontario. What are the most significant reforms being presented by the WSIB? – Employer Classification: The WSIB is proposing to reduce the number of classes (previously known as rate groups) from 150 to 32. – Eliminate Second Injury and Enhancement Fund (SIEF): This would eliminate an employer's opportunity to transfer health care and compensation costs incurred as a result of a worker’s pre-existing condition to the SIEF. – Extend the Number of Years of Experience (Claims Cost Window): The WSIB is proposing to extend the number of years of claims experience used to determine an employer’s premium rate setting up to six years. – Shift towards predominant business activity classification: The WSIB is proposing to determine an employer’s premium rates based on their predominant business activity, rather than allowing employers with more than one business activity to pay multiple rates as is the case in the current system. How will the reforms proposed in the Preliminary Rate Reform Framework (if implemented) affect the premium rates paid by employers? The WSIB has not provided sufficient information regarding how the reforms will affect the rates paid by individual employers. Ontario’s premium rates – which are among the highest in the country – have been a long-standing concern of employers in Ontario. The Ontario Chamber Network is calling on the WSIB to provide more information as to whether their premium rates will increase or decrease as a result of the reforms – and by how much. How does the Proposed Rate Reform Framework affect employer classification? There are currently more than 150 rate groups in the system. The WSIB proposes to replace these groups with a 32 class structure that would be updated every five years to capture new and emerging industries. Such a significant reduction in the number of classes would risk grouping employers with very different risk profiles. This is problematic and could impose undue costs on businesses, particularly low risk operations that have been classified amongst those associated with high risk. The Ontario Chamber network is calling on the WSIB to expand the class structure to more accurately reflect the risk profiles of employers. How does the Proposed Rate Reform Framework link to the resolution of the unfunded liability? The WSIB’s Unfunded Liability (UFL), the amount by which future payment obligations exceed the present value of funds available to pay them, stands at $8.3 billion. Ontario’s premium rates, which are still among the highest in the country, have helped reduce that unfunded liability over the past number of years. High premium rates have been a long-standing concern for employers in Ontario, who are doubtful to tolerate further hikes. The WSIB’s unfunded liability is a drag on Ontario’s competitiveness. The Ontario Chamber Network is calling on the government to include the WSIB in the Auditor General’s reports until the unfunded liability is fully retired. How would the proposed elimination of the SIEF affect the worker’s compensation system in Ontario? The Ontario Chamber Network believes that the opportunities for reemployment provided to injured workers by the SIEF contribute to the fairness of the WSIB structure. The Ontario Chamber Network is calling on the WSIB to retain the SIEF to encourage the reemployment of injured workers. How would the proposal to extend the claims experience ‘window’ affect WSIB premium rates? The Ontario Chamber Network is concerned that the extension of the claims cost window to six years could penalize employers for historic claims costs that no longer reflect the risks of their workplaces as a result of more recent improvements to health and safety. The Ontario Chamber Network recommends that the WSIB implement a weighted claims experience window based on employers’ claims cost history over the past three rather than six years to ensure that the rate charged to employers is reflective of their recent commitments to health and safety. How would the proposed shift towards predominant business activity classification affect the cost of doing business in Ontario? The Ontario Chamber Network is concerned that this new classification method will increase the cost of doing business for employers with multiple business activities. In the case of employers whose earnings for each business activity are similar, the employer will almost certainly be overpaying WSIB premiums as compared to the current classification and rate-setting model. Additionally, if the employer’s insurable earnings between business activities fluctuate it is possible that the predominant business activity could change year to year. This would jeopardize the WSIB’s stated goal of stable premium rates. The Ontario Chamber Network is calling on the WSIB to reconsider implementing the predominant class model and continue to allow businesses to pay different rates based on their activities in different business areas. When does the WSIB plan to implement the reforms? The WSIB plans to implement the proposed rate framework in 2018. Following the endorsement of the Rate Reform Framework, the WSIB would seek input from stakeholders on the development of a transition plan to the new Rate Framework that would outline how employers would shift from their current premium rate to the premium rate that they will pay in the new system (‘Employer Target Premium Rate’). The Ontario Chamber Network would welcome the opportunity to contribute to the development of the transition plan to the new Rate Framework if it is implemented. 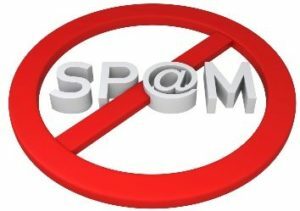 Will Your Business Be Affected By Canada’s New Anti-Spam Law?